Community Publishing has some exciting news: The critically acclaimed Princess Marisol & the Moon Thieves, is now available in Print! is ready for your bookshelf! It was important for us to preserve the multimedia contributions of our musicians and voice actors and therefore inside the print edition is a QR Code and a web address that the purchaser can use to enjoy the audio component of the book! Get your edition from us today and receive a limited edition autographed version while you save money! Author Alex Paramo states, “There were many big publishers interested in the story and the concept but I am glad that we went with Community Publishing. Working with a local independent publishing company allowed for true collaboration and partnership.” Princess Marisol & the Moon Thieves was adapted and performed on stage by FUSION Theatre Company of New Mexico in the Summer of 2014. All of our Multimedia Books are complete collaborations from start to finish. Every book you purchase is evenly distributed among the creative folks who created them. Every penny you spend goes to support local artists of all mediums and promote literacy in our communities. 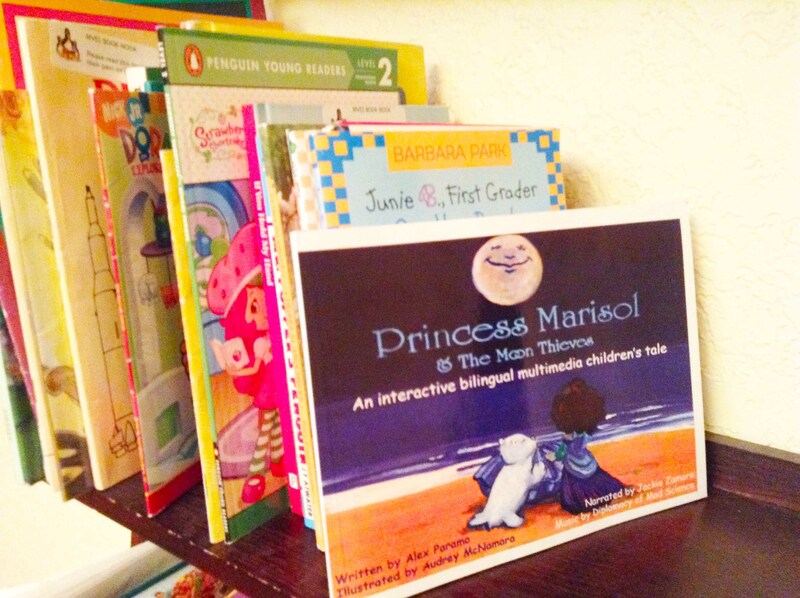 Princess Marisol & the Moon Thieves was published in April 2013. This bilingual multimedia book is a beautiful children’s story featuring the writing of Alex Paramo, the illustrations of Audrey McNamara, the music of Matias Pizarro and Juan Ramirez (Diplomacy of Mad Science), narrated in English and Spanish by Jackie Zamora. Additional contributions by Marisol Paramo (character voice), Sophia Zamora (character voice) Yvette Sandoval (graphic art), and Christian Orellana (music). This Multimedia Book contains a multicultural cast, emphasizes the importance of sustainability, collaboration and redemption. It contains an educational component which emphasizes general, geographical, and cultural words and terms. 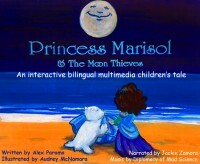 Princess Marisol & the Moon Thieves is available on iTunes: http://goo.gl/mMQcuj and for non-iTunes users: http://goo.gl/ap3rE5. Follow Princess Marisol & the Moon Thieves on Facebook. ♥ Princess Marisol & The Moon Thieves is no ordinary children’s book. It is a multimedia children’s adventure. In this powerful, yet fun-loving tale about a little princess who is trying to recover the stolen moon from a couple of mischievous musicians, we are taken on a journey filled with adventure, beauty and ultimately self-discovery. In its creation, there has been a collaboration of artistry from the fields of music, fine art and literature and the result is a proverbial story of working together and learning respect for each other and for nature. To reinforce those lessons the book contains a curriculum component that can be used by educators, parents and guardians alike. Princess Marisol & the Moon Thieves is critically acclaimed having been featured in film festivals, the Morning Brew Television Program, the Local IQ, UNM Lobo, Peace Talks Radio and was adapted for the stage by FUSION Theatre Company of New Mexico and performed during the Summer of 2014. Enjoyed this article? Type in your email address to receive similar articles, no ads, no spam, no charge! 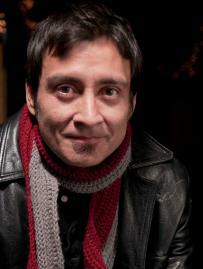 Alex Paramo is an Author and Co-Founder of Community Publishing. Community Publishing brings local artists of all mediums together in creative collaborations for distribution as multimedia eBooks while promoting literacy in our communities. Shopping local (from your friends and neighbors) benefits you, your family and the community in general. Keep up with your local artists at Community Publishing by hitting the Subscribe Button on the top right hand corner of this page. The Most Important Day Ever, in Hobbs, New Mexico…….